How does it feel like when you're just pushing your body to work with same enthusiasm all throughout the day and at some point, you feel like giving up? We all know that we're getting insufficient sleep in a day, and it's just so normal, after all, we're living in a Netflix and Chill era! It's a difficult task to run your body throughout the day when you've just got an insufficient sleep because of all the work pressure you're burdened with. In the middle of the day, you realise that all that you need is a break for a while. So, that's what nap is all about.Twenty minutes of sleep in the afternoon recharges your body and mind and provides the extra push required to have a successful, productive day-- pleasing both you and your employer. NAP-AT-WORK is the new concept brought up by the companies, so that the employees are provided with the opportunity to charge themselves up and work with same energy level. Many inventions are being made in respect to 'Nap-at-Work' concept. 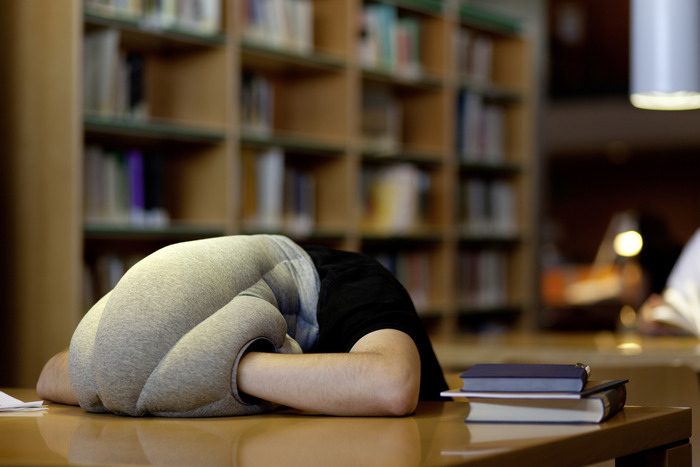 Read on to know some of the best solutions for having a calming nap-at-work! The idea of carrying a comfortable nap furniture piece anywhere is the best invention on this whole planet for an office-worker who lost all his energy after 5 hours of continuous work. This heard supporter works as a pillow and gives all the comfort. The flexible device is a flat disc when not in use, but acts as the best pillow when required to take a quick nap. There's always a point in the midday when you're like "Okay! I'm done now".But actually the reality is that you still have to spend your 4 hours at the workplace.When this moment comes, which it surely comes,all you want to do is power off your computer, lay down on your desk and sleep with any noise hindrances.This is now possible with the sleep-friendly invention, i.e., ' the nap-pod'.A unique approaches being implemented by companies ranging from Google to NASA.These devices are used all around the world, sleek, shiny, capsule-looking chairs that function as a personal mobile bedroom in the middle of the office for lagging employees who'd prefer a short snooze . By setting a 20-minute timer inside one of the futuristic pods, which often block out noise and light by way of a hooded dome, you can have the very definition of a power nap right in the middle of your work day. The ultimate goal? To use naps to increase productivity and (and presumably improve overall health) among workers. 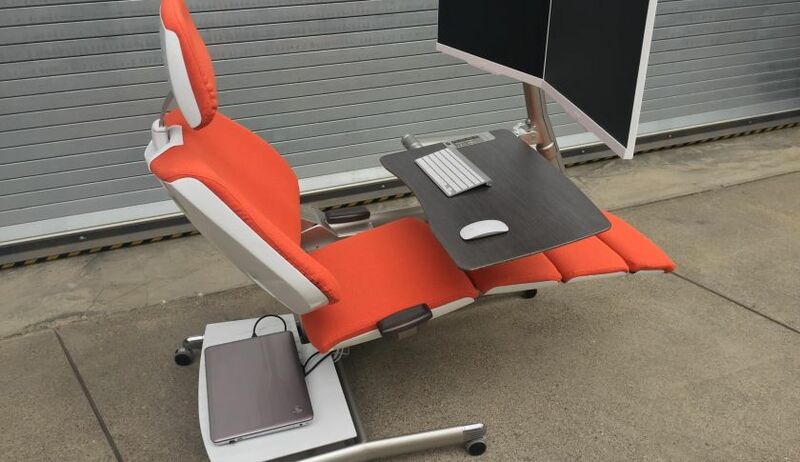 So this was the chair we all secretly dreamt about, lying down while work.You can imagine the comfort and the need level of this lay down chair, when you feel stuck between the work load you are surrounded with and a real want to just just relax for a while. This can be the solution to your this real want. 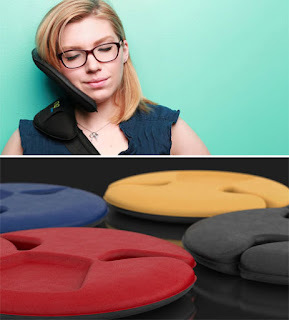 All you need to do is convert your office chair to your nap chair(this can be done within a few minutes).This amazing nap-friendly invention was done by the Altwork, similar to one you'd find in dentist's office.The chair provides support to your head and a movable desk that will make your workday more comfortable.There is space for up to four monitors and a keyboard, and magnets that prevent the mouse from falling as you recline. 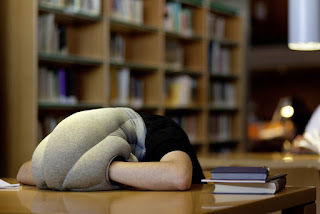 No one really likes to get noticed when they're having(or wanting to have) a peaceful nap when at workplace.Therefore many a sleepy office worker has eyed the space under their desks, wondering if they could get away with a sneaky powerful nap without anyone having an eye on them. 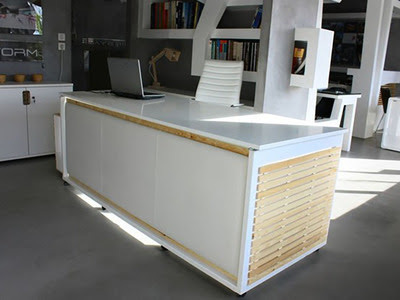 This 'transforming nap desk' will become a must-have for the workplace in the near future.The desk has hidden bed with a foam pad and even a small television mounted on one side,giving you feels of a mini-room. While thinking of a hammock , your imagination lands you at any of your dream beach-destinations.Though you can get this vacation feeling at your workplace by this cool invention.The foot Hammock is one of the cheapest ways to get you a power nap at work.This under-desk foot hammock is the best office upgrade. The Foot Hammock wants to help you kick back at your desk, keep your feet warm and give you a chance to stretch your legs at work. 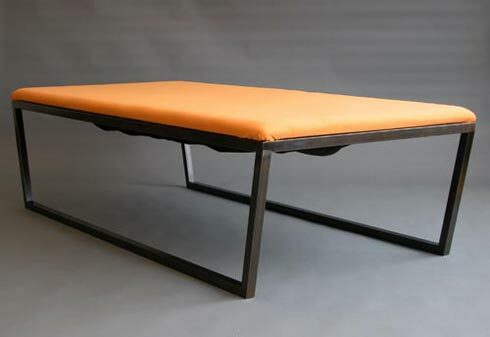 This embrace lounge bed doesn't seem to be much impressive when looked in the first glance.Looks like an ordinary bench but when you take a seat, you can feel the magic of this not-so ordinary bed. The Embrace Lounge features a hidden body-shaped curve to support and envelop you when you lay down upon it, making your 20 minutes power nap a worth thing. 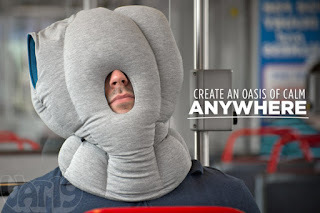 The moment when you feel like to escape from your workplace for a while, to logout from all the work and just relax yourself, this is when you feel the need of this 'Nap-Anywhere Pillow',also called The Ostrich Pillow.It offers an environment in which to take warm and comfortable power nap at ease.This head covering pillow offers a cushion while blocking out light and noise. Human Burrito Blankets are surely one of the coolest inventions by human. At that 'I'm Exhausted moment' , you just need to separate yourself from the work for a while. 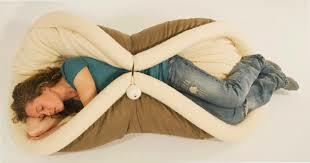 Take this burrito blanket at a quiet place and peacefully wrap yourself in this warm and cozy blanket. This would surely work and you can come back with a great level of energy. 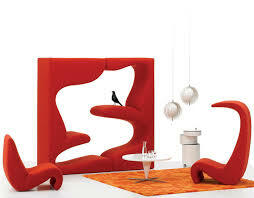 This well-designed furniture initially gives an impression of a decor piece but the actual purpose of this living tower is to offer a relaxed nap to the office workers.This classic design, was first developed by the Designer Verner Panton, 1968.It is an unique shaped seating tower that allows you to rest in numerous positions. It's impossible to be well rested at a 9-to-5 and aside from injecting coffee,the only way to combat office fatigue is with a good office nap .Many offices,like Google, have brought up the idea of nap room for the employees .Should it be considered a perk for an employee? Yes, of course like who won't like this idea of sleep at work? 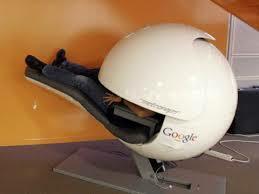 A person playing a tug of war between all those pending works and tiredness,may know the worth of this nap room. This is the one of the best office upgrades.These nap rooms are in the interest of both the parties, employee and employer.They are the actual 'OFFICE GOALS' deal.